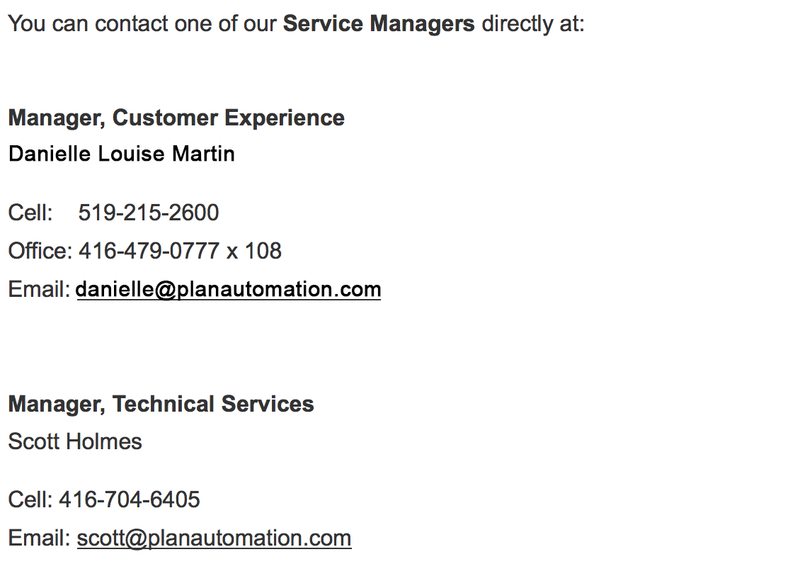 Let the PLAN Automation Service Team support you through all of your service needs. PLAN Automation is here to help. Whether you are looking for annual maintenance programs or immediate service we will be happy to provide you with everything you need. We have now made it easier & more convenient for you to schedule a service visit with a PLAN Automation technician. Simply click on the button below to book a service call online and one of our service advisors will be in contact with you to schedule your plant visit. If you need immediate assistance, please do not hesitate to contact us directly. With over 40 years of actual x-ray manufacturing experience, EAGLE Product Inspection stands on the foundation of quality manufacturing, unparalleled technical service and radiation safety. EAGLE Product Inspection's Technical Service Department currently has experienced staff at three locations in North America - Alcoa, Tennessee, Anaheim, California and Mexico City, Mexico. We are expanding into two new locations, Minneapolis, Minnesota and Toronto, Canada by the end of the year. This regional coverage, combined with unparalleled service affiliates in Europe, United Kingdom, South America and Asia Pacific, make us the industry's Technical Services world leader. Our mission is to provide unsurpassed technical services to our customers and affiliates through the use of our team's expertise and experience combined with the most advanced diagnostic technologies available. EAGLE Product Inspection offers two levels of Service Agreements in addition to Preventative Maintenance Agreements to keep your equipment in the best operating condition. Preventative Maintenance Agreements provide on-site maintenance for your equipment at scheduled intervals depending on the option you choose. You choose the interval from 1 to 4 times per year and we will be there to verify your equipments operation and repair anything that needs to be fixed. While on-site, we will also perform and document required Radiation surveys. A 30% discount is included for all parts required for repair during our visits. Service Agreements provide on-site technical services when the need arises. There are two levels of service agreements: A Deluxe Agreement Package and a Standard Agreement Package. Upon acquisition, prior to operation, your safety officer or other designated individual within your company is responsible for registering your new x-ray machine(s) with your State radiation control agency. Each State and provinces also has specific regulatory and radiation protection requirements with which you must comply. You can find your specific State regulations at the following internet link:http://www.physics.isu.edu/radinf/rsotoolbox.htm. EAGLE Product Inspection has a staff of professionals with over 27 years of radiation safety and regulatory compliance experience in licensing and registration, radiation safety training and radiation protection program development & implementation.